“Inflation” – In the field of economy and finance, inflation plays an extraordinary role. In the article, you will get to known the inflation causes and effects for the economy as well as for the common man. 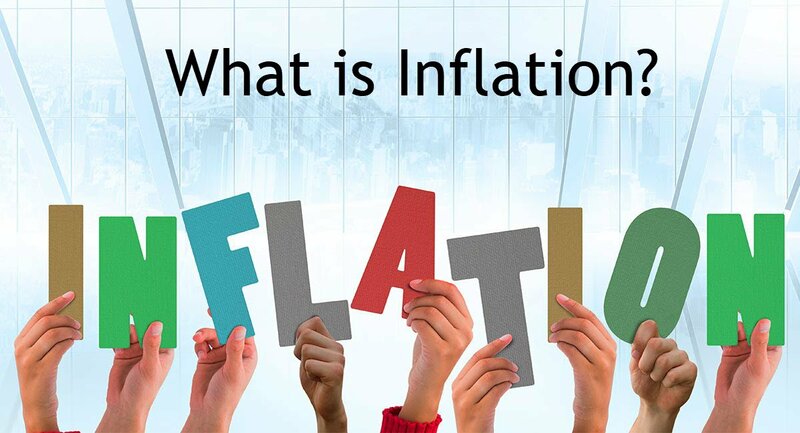 Meaning of Inflation – Inflation in the economy emphasize the economic movements of the price level of goods and services. The term inflation is also used to reveal the price level of small assets in the economy like food, fuel etc. Inflation is measured by the rise or drop in prices in the country. The percentage movement of inflation implements the cost you pay from your pocket. There are lots of question flows in the mind of the common man regarding inflation, step by step you will get all your answers and all about how inflation works. Why is inflation a problem? In simple words, inflation possesses your purchase power whether your daily expenditure or long-term planning, inflation turn all your long-term planning into hell. During the recession period people are suffering from unemployment, but today inflation is the biggest problem for the common man. What are the measures of inflation in India? What are the causes of inflation in India? The wholesale price index is the bunch of price variation for the wholesale goods available in the market. It is calculated from the few major commodities from the list of commodities available in the market. Movement in wholesale price index is one of the indicators for inflation. The wholesale price index is governed by the Office of the Economic Adviser in India. Consumer price index (CPI), is measured by the movement of price for goods and services consumed in the economy by the common man. The above segments are directly related to the common man, that is the reason, these items seat on the driving site of CPI. 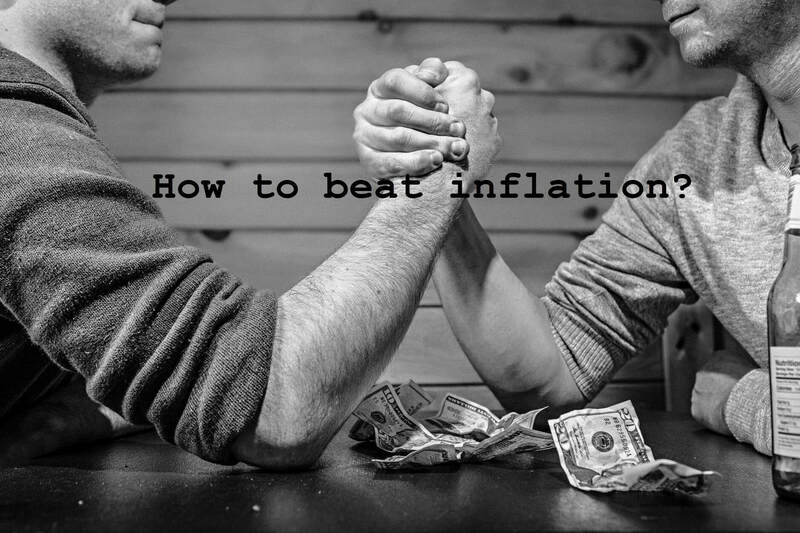 Have you ever thought what causes inflation and deflation? The causes of inflation are the vast topic to explain, there are several segments of the economy to understand. Economical internal and external activities will raise inflation. The Price variation (fluctuation) in the exchange rate also the biggest reason for inflation. Overload of taxation, for the common man as well as for the industrial production, increase in price effect cost of the item, which results in the change of inflation. A rise in wages and labor also increase the cost of the production, which directly effects the inflation. Deflation is the movement of price both in “wholesale price index as well as the consumer price index” decrease and becomes negative. The impact of deflation is also harmful to the economy, In India, reserve bank tries to keep the balance both for the inflation and deflation by infusion of money and the movement of interest rates. We all have heard of rising/fall in interest rates in the economy, although we don’t care. That was made by the central bank of the country to match up the impact of inflation. When the inflation rate goes high and interest rates also move high and if the inflation rates go down, the interest rate required to fall. When the company faces the impact of inflation, they required to pay for the raw material and other expenses with the higher amount, and the increasing amount forces the company to take the loan, which results in higher demand of money in the market. Although due to limited money, bank increase the rate of interest to control the demand, and also bank take benefit from the higher demand for money. Wholesale price index (WPI) and consumer price index (CPI). WPI consist of manufacturing items (65 %), Primary items like food, etc. (20.1 %), and Fuel and Power (14.9 %). CPI, based on 260 commodities including certain services. Before understanding inflation vs GDP, we have to understand the meaning of GDP. Gross domestic product (GDP), is the measurement tool for the market value of the production of the goods and services for the particular period of time. The rise in inflation indicates the increase in price, in short, the purchasing power is depressed, subsequently, the GDP falls. High price force the manufacturer to lower its production due to the availability of money. The relation between inflation and GDP is contradictory. Gold is one of the trusted commodity which was primarily used as a hedging fund, however, hedging commodity protects the value of money against depreciation. Purchase of gold traditionally nature of investment and marriages for the long-term prospects. The demand for gold and prices are touching the sky. Gold is always the hedging fund for the investors. The impact of high inflation directly affects the common man very badly, it is very difficult to handle. Mr. Ramesh for New delhi working as an senoir accountnant in a multinational company, his monthly income is ₹ 60,000 according to this financial planning after deducting his EMI’s he will bring home ₹ 25,000. He use to spend ₹ 15,000 on his grocery and other expenses which are directly involve in inflation. Finaly he left with ₹ 10,000 as his saving. Looking at the above example Mr. Ramesh can save ₹ 10,000 per month but due to inflation, he is unable to save any money today. He can use his saving amount ₹ 10,000 for hedging the inflation, but the biggest problem is today he is unable to save any money. Inflation is caused due to an increased demand or decreased supply or due to a combination of both. From the above example, the impact for the common man is disclosed, we will also learn how inflation affects your cash saving. Remember, I spend ₹ 60 for a movie ticket 15 years back, but today the minimum amount to spend is ₹ 300. Yes, the technology is changed, but the price increases 5 times. that’s the play of inflation, inflation beat your purchase power. A few years back if you put ₹ 1000 in your saving account and you will get ₹ 1100 considering 10% of interest rate and you can spend ₹ 1100, but today if the inflation rate is more then 10% (which actually is, more then interest rate earned from the bank), you will lose your purchase power. Inflation not only effect your living standered, but it is also raise a question mark on your retirement. In fact, you will still lose the value of money even if you have fixed deposits or investment in an insurance company or investment in post office etc. Reduction in your purchase power. You are left blank at the end of a few years. Building portfolio with value stocks or mutual fund is very important, investing in mutual funds or equity is good but if you are unable to beat inflation, it’s unless. Selection of stocks, as well as mutual funds, plays an important part to beat inflation and building your wealth. You must select growth stock & mutual funds. Being an employee or a small businessman, it is difficult to spare time other than regular working. For the purpose of beating inflation the flow of money required to enhanced. There are several part-time jobs available in every segment for the people desperate to spare some time even though from their houses. Your spouse also helps you work at home and also support your financial requirement. Other than mutual funds and equity, you also opt for a high-interest rate investment opportunity. not every time, some time you will get the progressive opportunity to invest with high-interest rates. It is mandatory to shuffle and restructure your portfolio for the proper financial health checkup, it was observed that most of the investor is not getting proper results, all they need to do is portfolio restructuring. There are several portfolio builder websites available which help you get in touch on the regular basis just by login into your portfolio. you can check daily or weekly and get your investments to shuffle if required, that would definitely work for you.